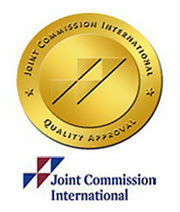 The international organization Joint Commission International (JCI), which deals with quality and safety control over medical services provided by medical centers and hospitals all around the world, had recently accredited The Chaim Sheba Medical Center with a certificate of compliance with high academic standards, and had registered it in the list of exemplary medical centers. Among the parameters evaluated by JCI are the performing of clinical research and the safety of patients which participate in it, academic work and preparation of students, interns and doctors in their residency training, as well as the safety of hospitalized patients and many others (in total 1300 parameters dealing with 16 fields). JCI also focuses on issues such as patients’ rights and the rights of their families, instruction and education of patients, international cooperation and much more. According to all of these criteria the Chaim Sheba Medical Center was found to be practically impeccable and received no points of criticism. The CEO of Sheba Medical Center expresses a great deal of pride for these achievements: “Our specialists are working miracles in the fields of clinical research, the final goal of which, is to find the means for curing currently incurable diseases”. In addition to what was already mentioned, the work which is done for the wellbeing of the patients as well as all of the technological innovations which are aimed at improving the wellbeing of human kind – remains in the focus of attention. At the heart of the work which is performed by the medical center lays the labor of a few for the benefit and wellbeing of others, as well as the aspiration for a better future. This is the reason why on top of the advanced technologies, professionalism and uncompromised quality of treatments, the mission of the Sheba Medical Center’s staff members is to provide maximum comfort for the patients during their time within the walls of the medical treatment facilities.